Now arranged – 12th September Coffee & Cake @ The Wharf 10:30 to 12:00. 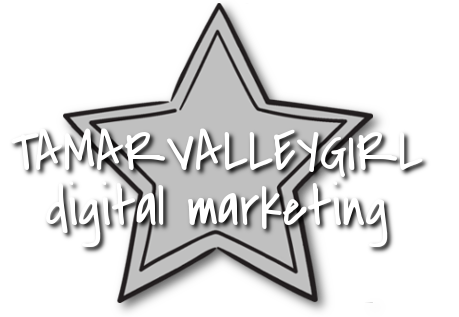 TDCC to Join The Tamar Valley Tourism Association (TAVATA) – cost relatively low (£50) and increases exposure of TDCC. Tavistock Town Council now writing an all-encompassing Neighbourhood Plan. This is a very large task for TTC. There are plans to run this under a steering group with input from Tavistock Heritage Trust, BID and TDCC. MH taking the lead for TDCC. MH reported on the recent WDBC Hub meeting where the WDBC plan for Business Rates rebates was signed off. A list of all properties that can claim is being circulated and the rate-payers must claim (the support isn’t automatic) by Christmas. MH concerned that certain details remained unclear with respect to use of any funds that are not claimed and this concern was also felt by Tavistock BID. MH to seek clarification in writing and if no satisfactory answer received TDCC and BID to use open means of communication to raise questions and concerns. CWN gave a run-down of proposals for the new TDCC website and put in a call for information from members to go on the site. Main part of meeting then started – discussion about WDBC investment plans and potential merger of West Devon Borough Council and South Hams District Council. 1) the expected return is both low and seems optimistic with respect to occupancy. The councillors claimed that the expectations were deliberately played down. 2) The funds were not going to be injected into the local property market to stimulate sectors of the commercial property market currently wanting. a. This generated a separate discussion (similar to July ‘17) about high rent levels in Tavistock compared to, say, Plymouth and concentration of property ownership in Tavistock. b. Suggestions were made to use the investment funds to encourage development of ‘Zone 23B’in the WDBC development plan for small units rather than single occupancy. c. The council were asked to encourage central government to revisit the “Northern Link Route” rail plan that was proposed following the loss of the Dawlish section of main-line railway in 2015 especially as the current proposed rail link for Tavistock includes only one or two trains in the whole of the peak commuting periods AND the route would bring the workforce into a part of Plymouth that is not convenient for reaching most of the employment in the town. Richard Searight reported that OkeRail was close to launching a trail service to Exeter with the view to launching a permanent service in 2018. Jo Butler was attending as she is now working with Tavistock Heritage Trust and wants to get to know a bit more about Tavistock.